Simon Hughes and Ed Davey have united to tackle the problems at Mandela Way sorting office. Local MP Simon Hughes and Post Offices Minister Ed Davey are planning a trip to Mandela Way sorting office in March. They aim to speak with the management and staff about the depot’s ongoing issues with delivering mail on time, to the right addresses and undamaged. They will also talk about the government’s plans for the future of the post office. 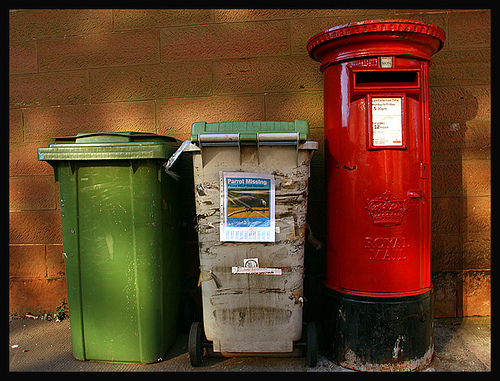 Simon Hughes said: “It is concerning that a number of my constituents are having problems with their post. Though Southwark, London and the UK were we hit by bad weather at Christmas, it is not acceptable that these problems are persisting. Simon Hughes has written two letters to the delivery office manager, Danny Taylor, since Christmas, demanding an explanation for the issues that were raised by his constituents. One of the letters was on behalf of a man from Southwark who said that whenever he’d received a ‘sorry you were out’ slip, it took him three or four visits to the collection office before getting hold of the items. The other was on behalf of a woman who claimed that her post constantly got delivered to the wrong address. She had previously received an apology from Sam Sheikh, the customer service advisor at Royal Mail. He had explained that the woman’s regular post person was off work, pointing at the inexperience of some of the staff to have caused the problems. But problems persisted in the area over the Christmas period and throughout January, leading to more complaints from people in the area. Mr Hughes hopes to get a full report into the problems that have prevailed since December, before his visit to the site in March. Meanwhile it’s come to my ears that Mandela Way will be under a new management from next week. Apparently 30 staff have been laid off too.